When would you get the chance to sing and dance along to an authentic Bavarian Brass Band on your lunch break? 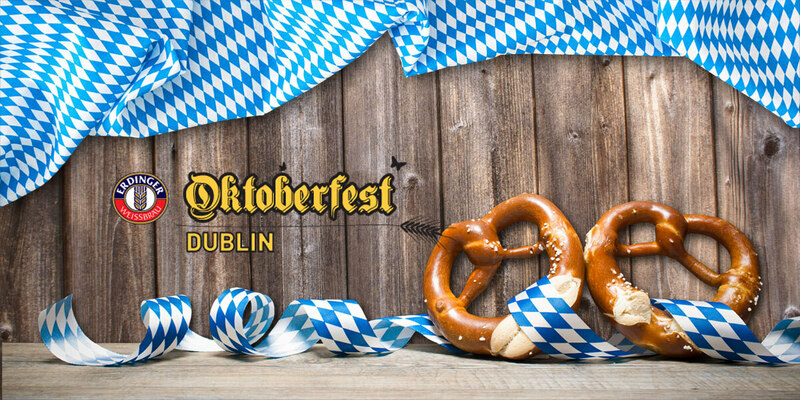 Well, now you can – come on down to Oktoberfest in George's Dock and listen to the traditional Bavarian band Mostland Stürmer followed by Bavarian DJ Udo, playing traditional music from the region. Free admission except Thursdays (€8 after 6pm), Fridays and Saturdays after closing hour (4pm to 5pm) from 5pm to 11.30pm: €12 entrance fee (includes meal voucher worth €5).